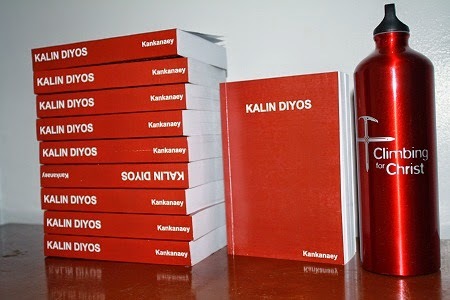 What if I tell you that the Kankanaey Bible is now available online? What if I tell you there's Kankanaey Bible App? 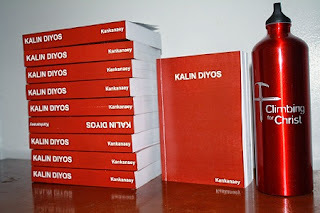 Four years ago today, I wrote a blog post lamenting on the unavailability of the Scripture in my native tongue, Kankanaey, both online and in print. Early this morning, however, I discovered that not only there is a Kankanaey version of the Bible in PDF format , an online version but also a Kankanaey Bible App available in Android operating system. Such was unheard of four years ago. While the hard copy of the Kankanaey Bible might still be out of stock, the electronic version which was made available online in 2016 by Wycliffe is an excellent resources for anyone who desires to read the Bible in the Kankanaey dialect. The moment I found these online resources early today, I immediately checked some critical verses relating to the deity of Jesus. After spending 3 hours trying to check the translation, I believe Wycliffe did a good job in translating the Bible into my native tongue. With the hundred verses I have checked so far, I have yet to see a doctrinal errors or mistranslated part of the scripture. Although I commend the hard work done by the translators, I have noticed that they seemed to add explanation or clarification when statements aren't clear. Here is an example among others I have noticed. The first 3 verses of the Gospel of John reads, "Sin damodamo, sin daan maparsuaan di lobong, nawawada din Kali. Sisya di kadwan Diyos yan Diyos met laeng sisya. Nanipod sin eng-enggana, wada din Kali ay sana ay kadwan Diyos. Sisya di nangipaamagan Diyos sin am-in ay wada, et maga polos di naamag mo adi babaen en sisya." Compare this with the KJV, ESV, and NIV translations. "In the beginning was the Word, and the Word was with God, and the Word was God. 2 He was in the beginning with God. 3 All things were made through him, and without him was not any thing made that was made (ESV)"
If you can read Greek, here is the Greek Text of John 1 verse 1. In all the above three English translations, including the Greek Text, the phrase "when the earth was not created" do not exist. This is an additional explanation done by the Kankanaey translators. While I understand that the reason why the translators felt it is necessary to include such qualifiers to point out that this damodamo (beginning) points to the time before everything was created and was not referring to any beginning, I felt that putting additional explanation into the translation is not necessary. Nonetheless, I understand that translations are also interpretations. I will never forget what my NT professor told me several years ago, "All Bible translations are interpretations." Please note also that there are different ways how the Bible was translated. There are more literal translations such in the KJV and ESV translations, but there are also paraphrase such in the NLT, LB or The Message. Since there is no perfect translation anyway, including the numerous English versions, I'd say that the Kankanaey Bible available online is a great contribution and a helpful tool for everyone who wish to understand the Word of God in the Kankanaey tongue. I encourage you to go ahead and download the app.